Mr. Tanger is a director of the Company and has served as Chief Executive Officer since January 2009. Previously, Mr. Tanger served as President and Chief Executive Officer from January 2009 to May 2017, President and Chief Operating Officer from January 1995 to December 2008, and Executive Vice President from 1986 to December 1994. He has been with Tanger related companies for most of his professional career, having served as Executive Vice President of Tanger/Creighton for 10 years. Mr. Tanger is a graduate of the University of North Carolina at Chapel Hill and the Stanford University School of Business Executive Program. Mr. McDonough was named President and Chief Operating Officer in May 2017. He joined the Company in August 2010 as Executive Vice President of Operations and was named Executive Vice President and Chief Operating Officer in August 2011. Previously, he was the Co-Founder and Principal of MHF Real Estate Group, a real estate asset management firm, from September 2009 to August 2010. He served as Chief Investment Officer and was a member of the Investment Committee at Equity One, Inc. from July 2007 to April 2009. From April 2006 to July 2007, Mr. McDonough was a partner at Kahl & Goveia, and from February 1997 to April 2006, he was employed by Regency Centers Corp., and its predecessor, Pacific Retail Trust, as the national director of acquisitions and dispositions. Previously, from July 1984 to January 1997, Mr. McDonough served in various capacities, including partner and principal, with Trammell Crow Company. Mr. McDonough has supervisory responsibility over the senior officers that oversee the Company's operations, construction and development, leasing and marketing functions. Mr. McDonough is a graduate of Stanford University and holds an MBA degree from Harvard Business School. Mr. Williams was named Executive Vice President - Chief Financial Officer in May 2018, previously serving as Senior Vice President – Chief Financial Officer since May 2016. He joined the Company in September 1993, served as Controller from January 1995 to March 2015 and Chief Accounting Officer from March 2013 to May 2016. He was also named Assistant Vice President in January 1997, Vice President in April 2004, and Senior Vice President in February 2006. Prior to joining the Company, Mr. Williams was the Financial Reporting Manager of Guilford Mills, Inc. from April 1991 to September 1993 and was employed by Arthur Andersen from 1987 to 1991. He is responsible for the Company's financial reporting processes, as well as supervisory responsibility over the senior officers that oversee the Company's accounting, finance, investor relations and information systems functions. Mr. Williams is a graduate of the University of North Carolina at Chapel Hill and is a certified public accountant. Mr. Perry joined the Company in December 2011 as Executive Vice President - General Counsel and was named Secretary in May 2012. He was Executive Vice President and Deputy General Counsel of LPL Financial Corporation from May 2006 to December 2011. Previously, he was Senior Corporate Counsel of EMC Corporation. Mr. Perry began his legal career with international law firm Ropes & Gray LLP. His responsibilities include corporate governance, compliance, and other legal matters, as well as management of outside counsel relationships and the Company's in house legal department. Mr. Perry is a graduate of Princeton University, and earned a J.D. from Columbia University, where he was a Harlan Fiske Stone Scholar. He is a member of both the Massachusetts and California bar associations. Ms. Morrison was named Executive Vice President - Leasing in May 2018. Previously, she held the positions of Senior Vice President – Leasing from August 2004 to May 2018, Vice President - Leasing from May 2001 to August 2004, Assistant Vice President of Leasing from August 2000 to May 2001 and Director of Leasing from April 1999 until August 2000. Prior to joining the Company, Ms. Morrison was employed by the Taubman Company and Trizec Properties, Inc. where she served as a leasing agent. Previously, she was a director of leasing for Nelson Ross Properties. Her major responsibilities include managing the leasing strategies for our operating properties, as well as expansions and new developments. She also oversees the leasing personnel and the merchandising and occupancy for Tanger properties. Ms. Morrison is a graduate of the University of Detroit and holds an MA degree from Michigan State University. 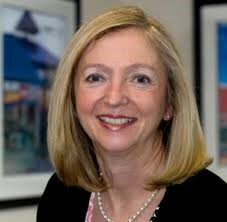 Ms. Warren was named Senior Vice President - Chief Marketing Officer in January 2012. Previously, she held the positions of Senior Vice President - Marketing from May 2000 to January 2012, Vice President - Marketing from September 1996 to May 2000 and Assistant Vice President - Marketing from December 1995 to September 1996. Prior to joining Tanger, Ms. Warren was with Prime Retail, L.P. for 4 years where she served as Regional Marketing Director responsible for coordinating and directing marketing for five outlet centers in the southeast region. Previously, Ms. Warren was Marketing Manager for North Hills, Inc. for five years and also served in the same role for the Edward J. DeBartolo Corp. for two years. Her major responsibilities include managing the Company's marketing department and developing and overseeing implementation of all corporate and field marketing programs. Ms. Warren is a graduate of East Carolina University. Mr. Worsham was named Senior Vice President - Construction and Development in May 2014 and previously held the position of Vice President - Development since April 2011. Prior to joining the Company, Mr. Worsham was employed by DDR for 8 years where he served as Vice President of Development from 2006 to 2010 and Development Director from 2003 to 2006 with a focus on executing the redevelopment and expansion program. From 1999 to 2003, Mr. Worsham served as Real Estate and Development Manager for Intown Suites where he managed the development of hotel properties in various geographic regions. His major responsibilities include implementing the company's real estate development program and oversight of construction personnel. Mr. Worsham is a graduate of Tennessee Technological University and holds an MBA degree in Real Estate from Georgia State University. Director of the Company since May 13, 1993. Chief Executive Officer since January 2009; President and Chief Executive Officer from January 2009 to May 2017; President and Chief Operating Officer from January 1995 to December 2008; Executive Vice President from 1986 to December 1994. Mr. Tanger joined the Company's predecessor in 1986 and is the son of the Company's founder, Stanley K. Tanger. Together with his father, Mr. Tanger has helped develop the Company into a portfolio of 44 upscale outlet shopping centers in 22 states coast to coast and in Canada, totaling approximately 15.3 million square feet leased to over 3,100 stores operated by more than 520 different brand name companies. Mr. Tanger provides an insider's perspective in Board discussions about the business and strategic direction of the Company and has experience in all aspects of the Company's business. Mr. Reddin has over 31 years of experience in consumer marketing and e-commerce, including executive and management experience. His experience in growing and building businesses and developing and marketing brand name consumer products enables him to provide invaluable insights into helping the Company elevate its brand. Mr. Benton has over 24 years of experience on our Board and has an extensive knowledge of our Company. As Chairman and Chief Executive Officer of multiple public real estate companies, Mr. Benton has gained first-hand experience in managing large real estate organizations with ultimate management responsibility for the corporation's financial performance and deployment of its capital. Director of the Company since July 28, 2014. Mr. Citrin is the Executive Vice Chairman of Square Mile Capital Management LLC, a private New York-based investment firm focusing on real estate related opportunities, since 2006. From 1994 to 2005 he was President and co-founder of Blackacre Capital Management LLC, now known as Cerberus Institutional Real Estate. Mr. Citrin served as Managing Director of the Commercial Mortgage Investment Unit of Oppenheimer & Company, Inc. from 1993 to 1994. From 1991 to 1993, he was Vice President of the Distressed Real Estate Principal Group of Credit Suisse First Boston, Inc. and from 1986 to 1991 Mr. Citrin served as Vice President of the Real Estate Investment Banking Unit of Chemical Bank. He was an attorney in the real estate practices of Kelley Drye & Warren LLP and Proskauer Rose LLP from 1983 to 1986. Mr. Citrin served as an Independent Trustee of First Union Real Estate and Mortgage, now known as Winthrop Realty Trust, from 2001 to 2003. He currently serves on the Board of Advisors of the Hospital for Special Surgery in New York, as Co-Chairman of the Hood Museum Board of Overseers, and as a Director of Trinity Place Holdings Inc.
Mr. Citrin has over 28 years of experience in public company and private company real estate investment during which he has structured complex real estate and financial transactions. The Board expects to benefit from this technical experience as well as from his extensive executive, management and legal experience. Director of the Company since January 1, 2016. Mr. Henry was formerly the Vice Chairman of the Board of Directors and Chief Executive Officer of Kimco Realty Corporation ("Kimco"). He served as Kimco's Chief Executive Officer from December 2009 to January 2016, Vice Chairman of the Board of Directors from April 2001 to January 2016, President from December 2008 to August 2014, and Chief Investment Officer from April 2001 to December 2009. Prior to joining Kimco, he spent 23 years at G.E. Capital Real Estate, where he served as the Senior Vice President /Chief Investment Officer and Chairman of G.E. Capital Investment Advisors from 1997 to 2001. Formerly its Chairman, Mr. Henry is currently a Trustee of the International Council of Shopping Centers and also served on the Executive Committee of the Board of Governors of the National Association of Real Estate Investment Trusts. His other public REIT board experience includes service on the boards of HCP, Inc. since January 2004 and VEREIT, Inc. since September 2015, as well as Chairman of the Compensation Committee of HCP, Inc. Mr. Henry is also a director of Fairfield County Bank, a Connecticut mutual savings bank, the co-founder of Peaceable Street Capital, a preferred equity lender for income producing commercial real estate properties, and serves on the real estate advisory boards of New York University and Baruch College. Mr. Henry has over 37 years of real estate industry experience with multinational, publicly traded companies. The Board expects to benefit from his familiarity with the REIT industry, particularly the retail sector, as well as from his extensive executive, financial and management expertise. Director of the Company since January 21, 1994. Senior Advisor of Stifel, Nicolaus & Company (formerly Legg Mason Wood Walker, Inc.), a financial services firm, since March 2009. Managing Director of Stifel, Nicolaus and Company from June 1997 to March 2009. Director (May 1994 to June 1997), President (August 1994 to June 1997) and Chief Financial Officer (July 1996 to June 1997) of Storage USA, Inc. Mr. Robinson has also been a director/trustee of First Potomoc Realty Trust since July, 2013, and a Director of Essex Property Trust, Inc. since April 2014 following its merger with BRE Properties. He served as a Director of BRE from July 2007 until closing the transaction with Essex in April 2014. He was a trustee of CenterPoint Properties Trust from December 1993 until the trust was acquired in March 2006 and is a former member of the board of governors of the National Association of Real Estate Investment Trusts (or "NAREIT"). In November 2009, NAREIT selected him to receive its Industry Achievement Award for his wisdom, expertise and service to the REIT industry. Mr. Robinson has over 25 years of experience on our Board and extensive knowledge of our Company. As an investment banker and investment advisor, Mr. Robinson possesses significant expertise in the operation of capital markets and the evaluation of investment opportunities. His service on audit committees of two other public real estate companies and as a President and Chief Financial Officer of a public real estate company give him extensive audit knowledge and experience in audit- and financial control-related matters. Director of the Company since January 1, 2009. Ms. Ryan-Berman is the Managing Partner at Ryan Berman Advisory, LLC, a strategic advisory and consulting firm. From 2016 to 2017 she served as Chief Experience Officer of Enjoy Technology, Inc., a provider of setup and training services for tech products. From 2011 to 2015, Ms. Ryan-Berman served as Chief Executive Officer of Victoria's Secret Direct, LLC, an online and catalogue division of Victoria's Secret, a specialty retailer of women's lingerie, beauty, apparel and accessories. She was formerly an independent consultant advising clients in the retail, wholesale and financial investment sectors providing strategic planning, business development and executive coaching services. Chief Executive Officer of Giorgio Armani Corp., the wholly owned U.S. subsidiary of Giorgio Armani S.p.A., a provider of fashion and luxury goods products, from 2006 to 2007. Vice President/Chief Operating Officer of Apple Computer Retail from 2004 to 2005. Ms. Ryan-Berman also held various executive positions with Polo Ralph Lauren Corporation, including Group President of Polo Ralph Lauren Global Retail, from 1992 to 2004 and various capacities at May Department Stores, Federated Department Stores, and Allied Stores Corp. from 1982 to 1992. In addition, Ms. Ryan-Berman was a member of the board of directors, and served on the audit committee for J. Crew Group, Inc. from 2005 to 2006. Ms. Ryan-Berman has over 35 years of experience in the retail business and as a senior level executive has helped oversee the strategies and operations of some of the leading fashion and luxury goods groups in the world. Ms. Ryan-Berman's extensive experience in apparel and retailing enables her to provide invaluable insight into the environment in which the Company operates. As Chairman and Chief Executive Officer of Ecolab, Mr. Schuman has first-hand experience in managing a large, multinational corporation focused on worldwide consumer markets, with ultimate management responsibility for the corporation's financial performance and the deployment of its capital. Director of the Company since July 30, 2018. Ms. Skerritt is a Senior Advisor to Promontory Financial Group, an IBM company, guiding clients on regulatory, governance, and risk management matters. She was formerly Chairwoman, Chief Executive Officer and President of Deutsche Bank Trust Company Americas (“Deutsche”), Deutsche Bank’s U.S. commercial banking entity, from 2016 to 2018. Previously at Deutsche, beginning in 2013, she led the transaction banking businesses in North and South America, and also led the global correspondent banking business. Prior to Deutsche Bank, Ms. Skerritt spent seven years at Bank of New York Mellon. She served as an Executive member of the Board of Directors of Bank of New York Mellon Trust Company, NA and as an Executive Vice President, co-leading the acquisition and integration of the JPMorgan Corporate Trust business. Earlier in her career she held various leadership roles at companies including Morgan Stanley, Treasury Strategies, Ernst & Young and Manufacturers Hanover Trust Company. With a 35-year financial career as a demonstrated leader with deep expertise in global financial markets, regulatory compliance, and risk management, Ms. Skerritt brings valuable perspective to Tanger’s Board.